In new estimates released Tuesday, the World Health Organization (WHO) reported about 7 million people died as a result of air pollution exposure in 2012. This finding more than doubles previous estimates and confirms that air pollution is now the world’s largest single environmental health risk as 1 in every 8 deaths is linked to it. In particular, the new research reveals a stronger connection between both indoor and outdoor air pollution exposure and cardiovascular diseases, such as strokes and heart disease, as well as cancer. The report also found air pollution plays a role in the development of respiratory diseases, including acute respiratory infections and chronic obstructive pulmonary diseases. The new estimates used improved measurements and technology, enabling scientists to make a more detailed analysis of health risks from a wider demographic spread that now includes both urban and rural areas. Low- and middle-income countries in the WHO South-East Asia and Western Pacific Regions had the largest air pollution-related burden in 2012, with a total of 3.3 million deaths linked to indoor air pollution and 2.6 million deaths related to outdoor air pollution. Included in the assessment is a breakdown of deaths attributed to specific diseases, which shows the vast majority of air pollution deaths are tied to cardiovascular diseases. 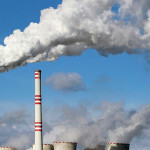 The estimates of people’s exposure to outdoor air pollution in different parts of the world were tabulated using a new global data mapping system, which incorporated satellite data, ground-level monitoring measurements and data on pollution emissions from key sources, as well as modeling of how pollution drifts in the air. WHO estimates indoor air pollution was linked to 4.3 million deaths in 2012 in households cooking over coal, wood and biomass stoves. Regarding outdoor air pollution, WHO estimates there were 3.7 million deaths in 2012 from urban and rural sources worldwide. Later this year, WHO will release indoor air quality guidelines on household fuel combustion, as well as country data on outdoor and indoor air pollution exposures and related mortality, plus an update of air quality measurements in 1,600 cities from all regions of the world.